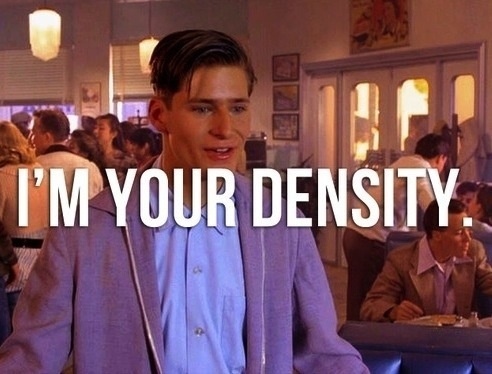 If you don't know what a "density-based commodity" is, then you can ignore this blog post and go take a virtual tour of our office. But if you always have to calculate density in order to choose the right NMFC class for your shipment, you're going to love this feature. 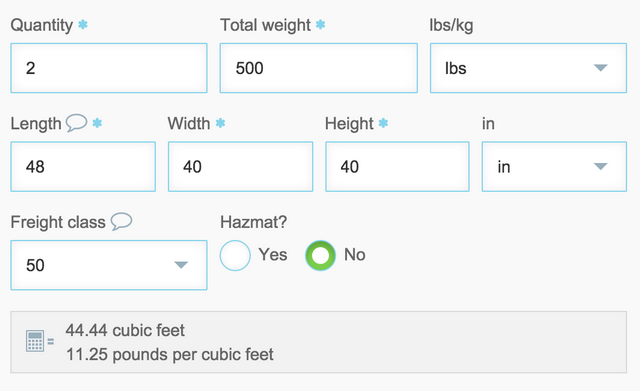 As soon as you enter weight and dimensions into your Freightview quote page, it calculates your cubic feet and pounds per cubic feet (PCF) and displays them right next to where you choose the class. This is so much faster and friendlier than sending you somewhere else to calculate the density. It saves you lots of keystrokes and gets you to your rates a few seconds sooner. I hope you like it as much as we do!